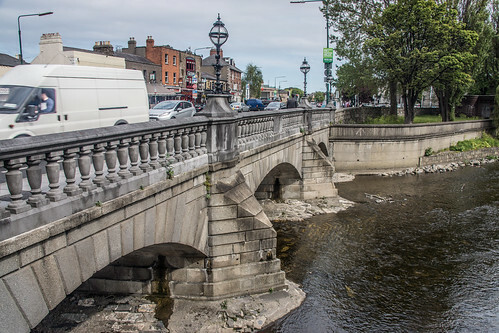 Ball's Bridge is a bridge in Dublin, Ireland, situated in "Pembroke" which spans the River Dodder on the south side of the city. It is a three arch stone bridge and was built in 1791. Pembroke is an exclusive area and is known to contain very expensive property. Though this name is little known and the area is instead called after the bridge, being called "Ballsbridge" in common use. The sign on the bridge still proclaims it as "Ball's Bridge" in recognition of the fact that the original bridge in this location was built and owned by a Mr. Ball.